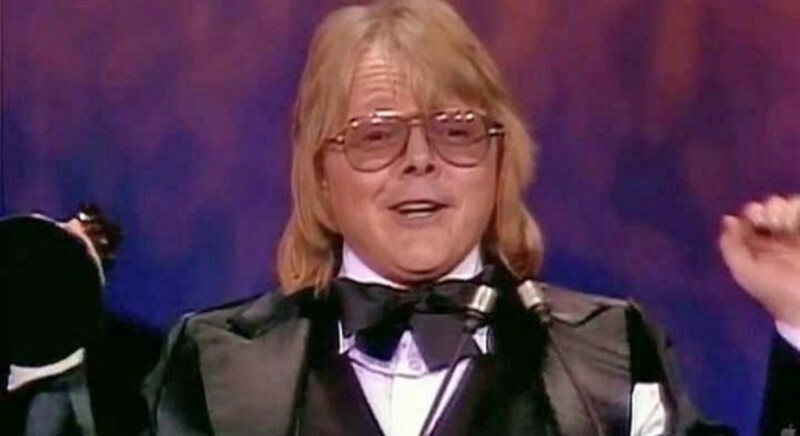 In the Seventies, Paul Williams was a fabulously successful pop songwriter and, with his famously diminutive stature and impish sense of humor, was a staple of TV talk shows and guest sitcom appearances. His songs were recorded by 3 Dog Night (“Old Fashioned Love Song”, “Out in the Country), the Carpenters (“We’ve Only Just Begun”, “Rainy Days and Mondays”), David Bowie (“Fill Your Heart”) and many others, including the Oscar-winning prom buzzkill “Evergreen.” It is not Mr. Williams who is dubious. It’s just that, as with all but the shiniest stars in the celebrity firmament, he saw his time come and go. 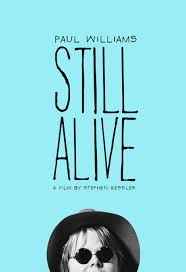 One glance at the title of Stephen Kessler’s film will let you in on the premise. The director’s first misstep is riding the I-thought-he-was-dead conceit for the first ten minutes of the movie instead of admitting to just checking Paul’s Wikipedia entry. Kessler professes his great admiration for Williams and his work, yet stumbles over several different doc-making strategies and mostly calls attention to himself. First, he stalks the tunesmith, then makes dubious claims about how he was granted access (“Paul and I bonded over squid”), before getting to tag along to the autograph sessions and Vegas nightclub dates that keep things going for an icon of an aging demographic. Kessler’s method seems either clueless (When Williams is in the middle of an poignant boyhood anecdote about his troubled and heavy-drinking father, the director cuts in to ask him about his first talent show) or just tacky (“Paul gave me what I always wanted.. a sleepover”). Williams is a likeable enough subject, if a bit guarded, and he’s more astute than his filmic biographer—at one juncture he even explains Kessler the relative merits of either playing to the camera or keeping it cinema verite. Although Williams’ story does get out in the end, a less kitschy approach would have yielded far more interesting subtexts than a celebrity sleepover—like a look at how fans’ persistent adoration this far down the rock ‘n’ roll road is perhaps colored by their own looming mortality. Still worth a look for fans of Williams (natch) as well as for pop-culture trainspotters of a certain vintage. My new book, Rock Docs: A 50-Year Cinematic Journey will be released later in 2015.